The current scientiﬁc publication industry is one of the most lucrative in the world. In 2018, the global STM publishing market alone was estimated to be worth $25.7 billion, and that only represents a portion of the market. The industry’s business model has higher profit margins than any other industry in history. On top of that, the current market is highly oligopolistic, with the top ﬁve publishers accounting for 50% to 70% of all publications. For years, the costs of journals have been increasing at a far higher rate than the Consumer Price Index. 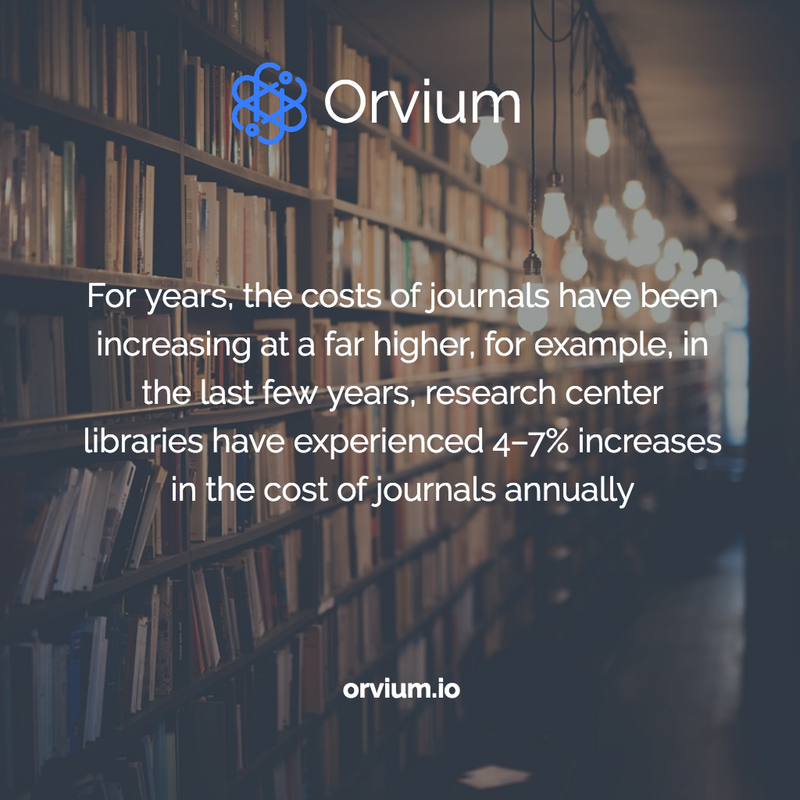 For example, in the last few years, research center libraries have experienced 4–7% increases in the cost of journals annually. Given that the cost of the information management infrastructure declines with Moore’s law and that most editorial expenses are paid by the research community, the price increase comes down to the oligopolistic status quo flexing their muscles within the publishing industry. Along with the oligopolistic nature of the industry, there are a number of acute problems plaguing the current academic publishing space. Let’s explore them now in more detail. Problems are prevalent at the very core of the scientific publishing industry, starting with the peer review process. Manuscripts are evaluated by field experts, revised and improved by the authors, and then finally accepted for publication. This is the process through which grants are allocated, papers published, academics promoted and Nobel prizes won. So, the problem is clear. Since reviewers are competing for the same recognition and resources, peer reviewing is doomed to suffer from bias. It’s no secret that the world of academia also suffers from a diversity problem. Although, recently we have seen many initiatives geared towards addressing diversity issues in the industry but unfortunately these efforts have yet to be successful. In fact, 33% of universities in the United Kingdom are actually regressing in terms of the number of women in tenure. Which means that the academic circles remain still largely populated by men — white men nonetheless! In 2015, a study led by Canadian researchers Gita Ghiasi, Vincent Lariviere, and Cassidy R. Sugimoto revealed that female researchers in engineering were less likely to have their work cited. Since an academic journal’s reputation, as well as the number of citations, are used to determine a researcher’s prowess, you can see why this is an unfair outcome not only for women and minorities but for the whole scientific community! As well as suffering from bias, the peer review phase can also be quite a protracted and drawn out process. Despite technological advancements, the time from submission to publication still largely depends on the human factor. Once a journal receives a manuscript, an editor needs to screen the work and assign it to peer reviewers. Then, if the transition process between authors, editors and reviewers is successful, the manuscript is marked for publication. However, this does not mean that the paper is immediately published. It only means it is earmarked for release in the print edition as space becomes available. Depending on the journal, the publication time varies signiﬁcantly, but the average time is 12 months. Once a research manuscript is rejected by a journal, authors have to resubmit to a diﬀerent journal and resume the process. Unfortunately, the biased and protracted peer review process isn’t the only issue confronting the academic publishing sector. In any other industry, the creator is paid for their work. Musicians are paid for their songs, artists are paid for their art pieces, and authors are paid for their books. However, the same ideal is not reflected in the academic publishing industry. Generally, researchers are required to transfer the copyrights of their research (research that frequently takes millions of dollars of public money to conduct) to the journal publisher. Their work is given permanently and for free to publishers who reap a higher profit margin than any other industry. Academic publishers claim that this is necessary in order to protect authors’ rights and to coordinate permissions for reprints or other use, but many authors find this method unsuitable. In theory, the permission to use one’s manuscript is granted in return for the services provided, such as editing, peer reviewing, publishing, and advertising. However, a large part of the editing and peer review costs are already paid for or done on a voluntary basis by the research community. Then, we have the scientific community who is often charged hundreds of dollars to access decades-old studies. While scientists are priced out of the market, universities and hospitals must pay millions of dollars per year to access papers produced decades ago, papers that were funded by the Government, or other charitable grants, at great expense. Moreover, just like traditional publishing, academic publishing is primarily concerned with protecting the expression of works, not the ideas expressed, which are not copyrightable. This creates a landscape where it is illegal to copy or reproduce a work without permission, but acceptable to borrow one’s ideas by paraphrasing. And researchers are actually more concerned about others borrowing their ideas (or using their research) without giving them credit, not the papers themselves. The integrity of the study should also be respected, which means that academic journals should not alter research papers for profit. To give you a better idea of how defective this industry is, I implore you to read the stories of Aaron Swartz, better known as the Robin Hood of Science, who was driven to his death for trying to change the academic publishing system, and Alexandra Elbakyan, the researcher who was faced with a multi-billion dollar lawsuit for illegally making public nearly every scientific paper ever published. The emergence and proliferation of low-quality journals have also had a significant impact on the academic publishing industry. If your research was rejected by a top journal, you could always reach out to a lower-profile one. However, this is a double-edged sword as the number of studies so flawed that they need to be pulled back has tremendously increased over the past few years. Funnily enough, top journals are pulling back more papers than their lower-profile counterparts. 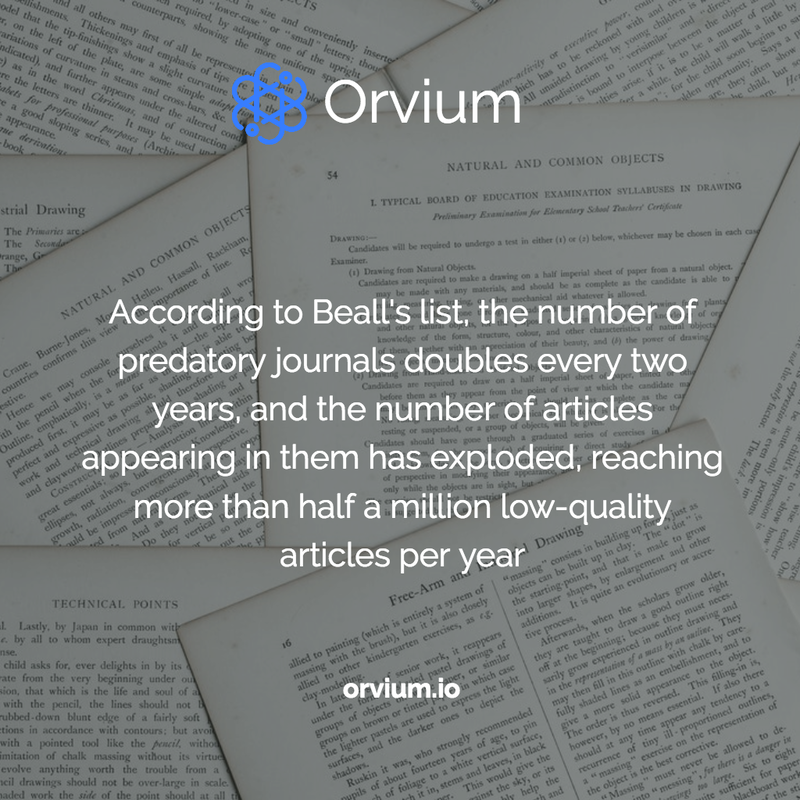 According to Beall’s list, the number of predatory journals doubles every two years, and the number of articles appearing in them has exploded, reaching more than half a million low-quality articles per year. This trend is driven by the 2–3% increase year-on-year in the number of researchers who need to publish their papers in order to access grants, build recognition and obtain awards to advance their careers. While many onlookers link the inadequate academic publishing system to the high number of low-quality journals, some critics go even further, blaming the current journal publishing system for holding back scientific progress. They point to a handful of scientific publishers that are shaping the evolution of science according to their financial interests, leaving them in a significant position of power. Many feel that the leverage and influence of the status quo within the publishing industry is directing what scientists choose to study which, in turn, has a negative impact on the evolution of science. Scientific outlets favor new, spectacular or controversial results. With this in mind, scientists tailor their work accordingly, knowing what kind of articles are more likely to get published. This situation is similar to the one confronting the traditional publishing sector: fake news and journalism’s degringolade. The authenticity of information is an issue affecting many businesses and our society in general, both for printed and digital media. On social networks, the situation is even somber: news pieces can be spread at such a fast pace that distorted, inaccurate or false information can gain a groundswell of momentum, potentially causing real-world impacts, within minutes, for millions of users. For many years now, researchers and scientiﬁc institutions have tried to remodel the publishing of scholarly peer-reviewed journals by creating digital Open Access journals. However, the high costs to develop, maintain and operate the required services and infrastructure have hampered the continuity and longevity of operations. Approximately 50% of Open Access journals survive long-term. In addition, authors directly experience high publication costs ($3,000 — $5,000 per publication), which precludes the submission of manuscripts from researchers with fewer resources. Aside from the publication costs, another problem for libraries is subscription packages that bundle hundreds of journals of widely varying quality. Bundling is a strategy used by publishers to sell journals that few libraries would subscribe to if they were to be selected individually. Libraries are unable to choose speciﬁc journals while refusing others. Consequently, to get the desired journals, they must also accept poor-quality journals with few readers. For too long, the biased and protracted peer review process, along with the misplacement of copyrights and the proliferation of low-quality journals have shifted the power away from researchers and firmly into the hands of a select number of publishers. The oligopolistic nature of the industry must be challenged. It’s time to empower the individual, restore the integrity of the academic publishing sector and most importantly, return the benefits of scientific discovery to wider society.